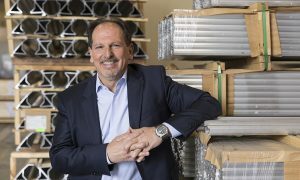 Please join us in congratulating our very own, Ron Corio, for being named a 2018 finalist for the Platts Global Energy Awards Lifetime Achievement Award. 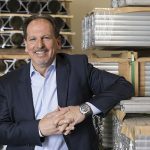 Ron pioneered solar tracking technology in 1989 and his vision for a renewable energy future has lead Array Technologies to become a world leader in solar tracking solutions. Winners of the 2018 Platts Global Energy Awards will be announced at a black-tie celebration on December 6th at Cipriani Wall Street in New York City – the ceremony is often referred to as the “Oscars” of energy. We wish Ron the best of luck! 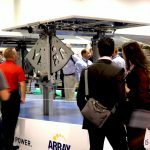 Array: What does your nomination say about PV, and solar tracking’s role in the energy system, that you are being recognized alongside the traditional energy industries? RC: I remember when people would comment that you couldn’t make a living building solar trackers, some even told me to get a “real job.” Well, it’s now a dream come true. I’ve been doing this for almost 30 years and to see it become mainstream, to see solar be the technology of choice for many power plants, and to see trackers as the technology of choice in those solar power plants – it’s phenomenal. It’s a great honor to be nominated for this award, especially because we are a solar company in a historically fossil fuel-dominated industry. It’s a sign of the times – demonstrating solar’s grid parity, and the transformation into the new renewable energy culture. I’m happy that I persevered the 30 years to see this happen and it’s great to be recognized. Array: What does it mean to you personally? RC: It’s rewarding to me to have the honor. There is nothing better than to have some validation of your initial beliefs. Some 30 years ago I was a bit idealistic to believe in solar, but I really had strong convictions and felt like that was the right course. To be a part of the renewable shift and see the solar industry grow into an energy mega-trend is extremely rewarding. To potentially receive a lifetime achievement award for my contribution, is even sweeter. 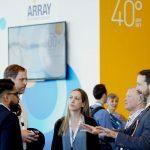 Array: Can you speak to the significant milestones in your 30-year career at the helm of Array Technologies? RC: Probably the first milestone was a “Things that work” article in Home Power Magazine in 1992, that helped launch the modern iteration of Array and boosted sales of our 1st product, a dual axis tracker mainly for remote homes and water pumping. The next big milestone was Array’s first utility scale project, a whopping 250 kW, built in 2001. It was our first large scale horizontal axis tracker, prior to that, we were building mostly small-scale dual axis tracking systems. Probably the most defining time leading to the success of the company was a project we built trackers for in Colorado named Alamosa. A 7.2 MW project completed in 2007 where we were engineering and building the product simultaneously – and working toward a quickly approaching hard deadline. Remarkably, it turned out to be a success, and more importantly a very reliable project with great performance continuing today.  The Alamosa project was the first version of Array’s flagship DuraTrack® system, of which the same basic architecture is still used today. The industry is always changing and challenging us. Cost, performance and durability are the three vital factors to get right and keep improving. The latest DuraTrack HZ v3 rollout in 2016 was a complete product overhaul and although it uses the same architecture as previous models there is not one component in it that has commonality to earlier versions. It also includes a some notable innovations such as a patented passive wind mitigation system and a single-bolt module mounting clamp. Designing a solar tracking system may seem like an innocuous task, to just track the sun across throughout the day, but to do it well, there must be a delicate balance of optimizing all the design elements. My mantra is minimization of material through intense integration of function. These systems cover many square miles, so material minimization is absolutely key, as well as ease of installation, performance and long-term durability. Array: It’s easier to reflect back than forward, that said, can you give a projection for the global solar industry over the next decade? RC: It can’t be a surprise that I believe solar and wind energy are the mega-trend in energy for the next 50 or more years. Grid parity with fossil fuel generation is already upon us and since solar energy is a technology-based energy source, the technology will continue to become more efficient every year and since the fuel is free, it will become the lowest source for new power generation in short order if it isn’t already. Of course, we can’t saturate the market with electricity delivered only when the sun is shining. The renewable energy shift will require low cost and efficient energy storage. That is not to say there is still a nice runway for solar energy projects without storage, but the future renewable energy shift will require low cost and efficient energy storage. Once economic energy storage is here, I believe we will see the end of most of the fossil fuel generated electricity. 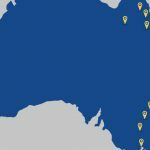 Array: Solar tracker technology has become the standard in US & Australian utility scale projects, while emerging global markets are striving to incorporate solar into their power grids. As the industry leader in tracking solutions what universal advise can you give to emerging markets? RC: I believe solar tracking will ultimately play the same role in emerging markets as it plays in the more mature markets. Really the only place it becomes a question is when you get in the northern hemispheres and the tracker gain is not as great as the sunny regions. Most of the emerging markets are in sunny regions, and so tracking will enjoy the same if not greater market share that we see today in the US. The emerging markets are typically auction driven and currently tend to be mostly about CAPEX. As we all know, you get what you pay for, so I would say buyer beware. This is a 30-year asset, it is also the foundation of your power plant, so developers must do the proper due diligence on the technology that they purchase. Saving ½ a penny or so per watt on the tracker equipment may prove to be a risky and a disastrous choice a year or two down the road. All equipment purchases should be based on a lifetime levelized cost of energy (LCOE) analysis. Array: This week in the hub of New York City’s financial district the Global Energy Outlook Forum will take place. Can you speak to the key aspects of financing a solar project as it relates to tracker technology? RC: Financing and insuring solar projects is about two things, risk management and LCOE. Making sure the power plant equipment is purposefully built for reliable performance over the life of the asset and correctly modeling the operation and maintenance costs are paramount. Engaging a credible independent engineering firm and allowing them an adequate budget to provide meaningful equipment and project consulting is the best insurance financiers can engage in. Array: Congratulations again Ron. It is an honor to be on this journey with you and look forward to celebrating many more successes with Array. You are the ideal candidate to win this award and we wish you the best of luck in New York this week!